In 2009, Sportsbet came under the guidance of one of the best-known bookmakers in the UK, Paddy Power in 2009. Power brought a wealth of marketing expertise to the Aussie bookmaker. 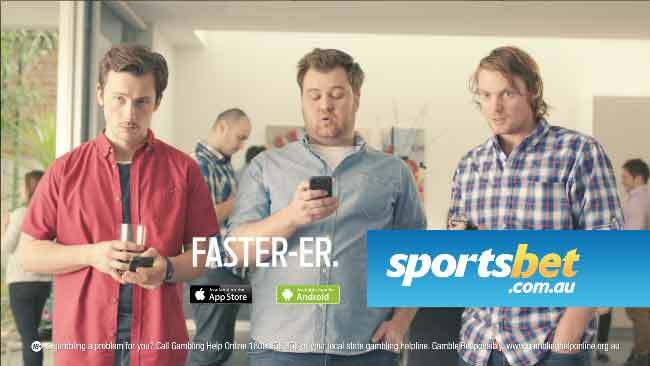 Through his team’s savvy advertising strategy that utilised promotions and free-to-enter competitions to woo over the nation’s punters, Sportsbet came back strong. Now they are the premier virtual bookie service for not only Australia but the rest of the free punter world. With more than 250 employees, it contributes to the nation’s economy as well as its recreational opportunities. Like most Australian bookmakers, Sportsbet’s licence comes from the Northern Territory Government. To that end, they have just released two new products: Sportsbet Cash Out and Sportsbet Sports MultiPick. Furthermore, Sportsbet’s customer service department and user-friendly website cater to the needs of every one of their customers, whether occasional punters or regulars. They go out of their way to make it easy for people to find what they’re looking for, make bets, win more cash, and go home happy. When it comes down to bonuses for existing and new customers, Sportsbet leads the way in Australia. They always have great offers for all sports, like money back if your team is leading at halftime but loses in the end. Sportsbet is also the home of the protest payout on horse racing. Australian residents will never pay any transaction fees with the exception of a $15 electronic transfer fee imposed upon clients placing wagers from locations outside the country. Accounts that meet the $30 funding requirement for using POli will receive instant access to the wagering site. Other funding methods, such as credit cards and others are subject to verification, typical of other bookmakers. These other funding methods require only $10. They accept all major dollar currencies, along with pounds and euros. Transaction fees: Free for in-Australia transactions. They do charge AUD $15 for international electronic fund transfers. Currencies accepted: AUD, EUR, GBP, HKD, NZD, SGD, and USD. Note, though, that people in some of these countries cannot use the site while they are inside the country’s borders. See “Forbidden betting jurisdictions” below. Maximum payout: In general, Sportsbet limits your maximum payout to AUD $500,000, but in some cases is open to negotiation. Maximum bet: Maximum bets depend on the bet type and the event. Identity verification policy: The bookmaker allows you to verify your identity online with either eDentiti or Veda Advantage. Credit card verification policy: You can only make three deposits up to $2,000 before you need to verify the card. Send a copy of the card’s back and front to verify and fully activate it. Bookmaker margin: 5.6%. This is slightly above the average of Australian bookmakers. In futures markets, though, it is 14.7%, well below the Australian average of 16.2%. Quantity of markets: Sportsbet’s average is 93 per fixture, well above the national average, 61. Mobile apps: Available for Android, iPad, and iPhone. For all others, the website has an extremely mobile-friendly version. Sportsbet Cash Card: This EFTPOS card works just like a normal debit card from your bank. You can access your winnings with this card and use it at any store or bank that allows POS transactions. Sportsbet will never disappoint you with its offerings of Australian sports. Super Rugby, AFL, and NRL fans will delight in the huge range of markets—as many as 40—for each fixture. For those who prefer international sports, there’s plenty to bet on there, too. American sports, cycling, golf, handball, volleyball, and more are available—as are more than 100 international football (soccer) leagues. They offer plenty of obscure sports to bet on. If you’re a fan of one of these sports, be sure to check Sportsbet out. There’s a good chance they’ll have a market for you. If you like to bet on financial markets, politics, or entertainment, Sportsbet has you covered. With their wide range of diverse markets, Sportsbet can stand alone as your only bookmaker if you want to put all your eggs in one basket. Weekend Sports Previews — Sportsbet TV channel gives you weekly expert previews of all the top racing each week and is hosted by John Dow and Matt Campbell. Also, check out their detailed preview of the AFL and NRL games each week. Black Book — All members of Sportsbet have at their disposal a Free Black Book. Keep all your horses to follow with Sportsbet. They will notify you either by email or Text Message when and where your horse has been entered for a race. Just enter the name of any horse, trotter of greyhound and your done, never miss a runner again. You will receive the email the night before the race, or you will be sent a Text message on the morning of the race after scratchings. Funds Withdrawals — Winnings can be withdrawn by all the usual methods and also can be received via money order. Credit worthy customers can qualify for up to $5,000 in credit facilities, in some cases making $200 automatically available. Minimum Bet — There is a $1 minimum wager for online betting; payouts daily maximum is $500,000, but it may be possible to make other arrangements. Betting Margins — Are comparable to other online bookmakers, with the possible exception of a 1X turnover requirement on bonus credits that must be used on wagers with odds of 1.5 or greater. Apply for the Sportsbet Cash Card — After your account is verified, Australian members can apply for this handy EFTPOS card. Make sure your address is correct on the application. Within ten business days, you’ll receive your card. You’ll need to activate your card before you use it. Log into your account, click on the ‘My Account’ button, and then on ‘Sportsbet Cash’. A prompt will appear, asking for your activation code. Enter the code, and you can use your card. When you want to transfer your winnings to your card, go to ‘My Account’ and then to ‘Sportsbet Cash’ again. Select ‘Withdraw Winnings to Card’. The funds will transfer immediately. You can use these funds at any vendor that allows debit or credit cards. You can also transfer funds from your card into your Sportsbet account. Sportsbet » » has some of the deepest selection of racing offerings. Meetings from across the country, New Zealand, and a select few from Asia and the United States are available. Overall: Like the other Paddy Power bookmaker reviewed elsewhere, the Sportsbet website received a complete makeover in mid-2011 that was enthusiastically received. Easier to use than before, new online punters will find it surprisingly easy to navigate. With its modern, feature-packed interface, even newbie punters will find it easy to place multis. At the same time, it is still easy to use and intuitive, which makes Sportsbet a great option for those who aren’t tech-savvy but love to bet. Navigation, interface and layout: Easy for even beginners to use, the interface features three columns, sports on the left-hand column, markets and odds in the centre column, and the betting slip on the right-hand column. Below the betting slip, you’ll find trending multi-bet selections. At the top of the left-hand column, you’ll find the ‘My Links’ box. This feature is editable and provides quick links to punters’ favourite races and sports. Markets: To find sub-markets, click on the name of the sport. You’ll see all the sub-markets (like leagues) in the centre column and in the navigation menu. The list on the centre column is a drop-down menu that allows you to choose which league you want. Below the league, you’ll find links to upcoming features and futures markets. Odds: Depending on the sport you choose, Sportsbet will display head-to-head odds, winning margin, total score, and line markets. If the event is televised in Australia, the site will display an icon of the channel on which it will be aired. To the right of each event, you’ll find the number of additional markets. When you click on that link, you’ll see the entire range of markets for the event. Online bet slip: The betting slip is easy to use. As you add items to your slip, you can see your slip on the right-hand column. You can also hide it from view if you wish. When you move your cursor over each selection, you’ll see the details of each of your bets. When you enter a wager, the site displays the total stake and your estimated returns. Combine racing and sports bets: The website integrates racing and sports seamlessly so it’s easy for you to combine your wager in a multi or an exotic multi. Mobile version: There is also a mobile version available. The site offers form guides, historical results and video and radio coverage of races at no additional charge. You can see your recent history, deposit funds, and place bets—all while you’re on the road. Live streaming: Registered members with a positive balance in their account can access live streaming of selected races and many other sports. The service is free, but you must have a verified, fully funded account to access it. Bet types encompass Top Tote Plus, Top Fluc, SP, Country Best and a host of exotic combinations. Relatively new to Sportsbet and other online bookmakers is in-play betting that is a direct outgrowth of the powerful computers and high speed Internet connections that are responsible for the largest shift in online bookmaking since the activity got its start. Sportsbet Top Tote - Top Tote Plus and Country Top Tote Plus. Top Tote Plus is the best way to bet. You will get the best price from the 3 totes, NSW, Uni Tab and Super Tab. Select Top Tote Plus when placing your thoroughbred Win, Each-Way & Place wagers online for Metropolitan meetings (Sydney, Melbourne, Brisbane, Adelaide and Perth) and you will receive the better of the dividends declared by the three Australian TAB’s or the Starting Price (SP), whichever is the best payout. This is available every race, every day. Pick Your Own Line - Sportsbet members have access to this most exciting new product available for betting on the AFL, NRL, Basketball, American Football and Rugby Union. Pick Your Own Line allows members to choose the line you want at the price you want. If you’re a fan of AFL, NRL or Rugby Union, you will love this type of betting. To give you an example - Say Carlton is the favourite to beat Essendon and the line is 41.5 points, but with Pick Your Own Line you can select from any other points handicap you like. You can add or reduce points to each teams handicap lines and by doing this you are also adjusting the odds by making them go out or come in. WHAT EXACTLY IS CASH OUT ? Cash Out is a multi-platform betting service which puts you in charge of your bets. Specifically, this service gives you the option of a return from your bet prior to an event ending on single and on select multiple bets. Your cash out value is calculated as soon as your bet is placed and is unique to you. The bet valuation is based on the amount stated, the particular price when you placed your bet and, lastly, the specific price when you cash out. You can place your bets as well as cash out on any internet-capable mobile device or through the 13BETS phone line. In the event that you placed your bets before an event, you can not only wager and collect through the previous channels, but also on a personal desktop. Want to know more specifics about Cash Out? Then check out Sportsbet's FAQ. WHAT IS SPORTSBET MULTI PICK ? Are you a punter who enjoys a good challenge? Does low-risk, high-reward betting appeal to you? Are you also stymied by being one winning bet short of that bonanza you were expecting after an age of carefully calculated bets? Then SportsBet Multi Pick is for you! Realising the frustration that comes with trying to place the last successful wager in a chain of winning bets, Sportsbet devised Multi Pick system to aid punters when making their multi-bet decisions. This system uses advanced analytical technology to highlight emerging betting patterns within the market. This data allows you to observe trends in the betting market in real time so you can better make a choice as to where precisely to place the final winning wager. In other words, this system strips out all of the clammy guess work when it comes to making several bets in a day, instead giving you cold, logically-derived data. That means no more relying on a gut feeling, but rather using the Multi Bet system and your head to seal that final windfall making wager. To be clear, Sportsbet cannot guarantee that you'll always collect on every single bet. After all, the laws of probability are a factor no person or program can control. But you will have an edge over all of the superstitious rubes who finalise where they place their wagers on coin flips and visceral intuition. So, excited by what SportsBet Multi Pick offer? Join Sportsbet Today ! The most recent Sportsbet innovation to come along is a new feature called Multi Builder. Placing multi-legged punts has never been easier. It is a quick, simple and intuitive route for filling out a betting slip for anything from a four-leg multi on the upcoming AFL round or even highly complex punts with several sports. The genius behind Sportsbet’s Multi Builder is that the different sports comprising the various legs can be viewed on one screen, eliminating the ponderous task of switching back and forth between assorted matches and markets. Multis offer the prime opportunity of realising big profits from an insignificant outlay of wagering funds. The Sportsbet Multi Builder also takes punting far beyond the realm of pure luck, offering rewards to those who pride themselves on sports knowledge of all kinds and who can translate that knowledge into punts that not only have a high probability of success, but also offer monetary rewards beyond the average return. They say that Fortune Favours the Bold and punters who use Sportsbet Multi Builder will find that calculated risk taking on markets where unexpected outcomes can supply breathtaking dividends is a prime way to take punting efforts from the pedestrian to the superb. Sportsbet has all the exotic type betting available online as well. All exotics can be placed with the option of FlexiBet. A quick rundown of the exotic bets are as follows. Daily Double – Select the winner of 2 races on the card nominated by the TAB. Super6 – Ideal for those who favor longshot bets, you've got to select the winner of six consecutive races. First Four – Select the top four finishers and collect your earnings. It's really that simple. Two variants on this bet exist: Box First Four and Standout. Quadrella – Also known as Quaddie, select the winner of four races nominated by the TAB. Trebles – Punters who select the winners of three separate races at the one meeting nominated by the TAB. Sportsbet members have free access to a great mobile app available for iPhone and the Android smart phone range. It is easy to download from either the iTunes Store or the Android Marketplace. Once the app is on your device just log in, deposit funds and bet on all sports and racing all in the palm of your hand.A survivor of hard times, Sportsbet is a worthy consideration for punters who prefer one convenient location for their wagering. If you've got any problems with Sportsbet services or need to contact support? Then, just use their live chat feature on the website. A support professional will address whatever issues or concerns you may have, along with tackling any other questions you may have. If the matter is not urgent and you do not want to wait, or if you just have a general inquiry, email us. Further, they also provide customer service via phone. So, if you prefer to speak rather than type, give them a call. Live chat support: If you've got any problems with Sportsbet services or need to contact support, use their live chat feature on the website. A support professional will address whatever issues or concerns you may have, along with tackling any other questions you may have. Email support: If the matter is not urgent, and you do not want to wait, or if you just have a general inquiry, email them. Yeah, we know it's easy to talk about how great Sportsbet is, but what does the average punter think of them. "I love dealing with Sportsbet. For a start their website is very easy to navigate, and their rates are always good. On the very rare occasion I have had a query it has been dealt with swiftly and super-efficiently. I am a very small gambler but I receive millionaire treatment from Sportsbet. I can't recommend them highly enough." "I believe SportsBet is the best betting application on the market as I have tried with all other betting apps and their layout, bonus bets, odds and specials are all too hard to understand or use efficiently." "In this highly competitive businesses, SportsBet has continually responded when new betting methods and innovations such as payout on protests have been introduced. I also like the fact that when I have a query I can chat with somebody online at SportsBet who knows what he/she is talking about and understands my problem. Overall Sportsbet has maintained its high standard and can be regarded as a leader in its field." Sportsbet provides a wide range of resources to help punters keep their betting under control. In fact, they devote an entire website to these resources: https://responsiblegambling.sportsbet.com.au/hc/en-us. Unlike the rest of the site, this website works in countries where Sportsbet doesn’t even operate, giving their outreach to those with gambling issues a global presence.